Mobility at Home brings mobility solutions to the Chattanooga, Tennessee area. Owners Kyle and Lori Williams offer a variety of products to help people maintain their independence. They help you sort through the many mobility product options to help you find the solution that will work best for you or your loved ones. Mobility at Home offers affordable solutions from top companies in the mobility industry and employs local, knowledgeable staff to reliably serve our clients in the Chattanooga, TN area. It all starts with a free, in-home assessment to determine which options best suit your situation! 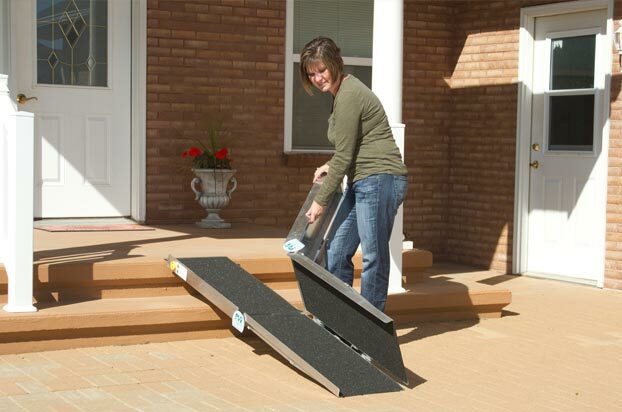 Mobility at Home offers buyers a variety of products ranging from lifts and ramps to daily living aides. Our products are comfortable, quiet to operate, and built to last! We save you time by making it all available in one place! Browse our site to see the variety of solutions we present in the Chattanooga, TN area. 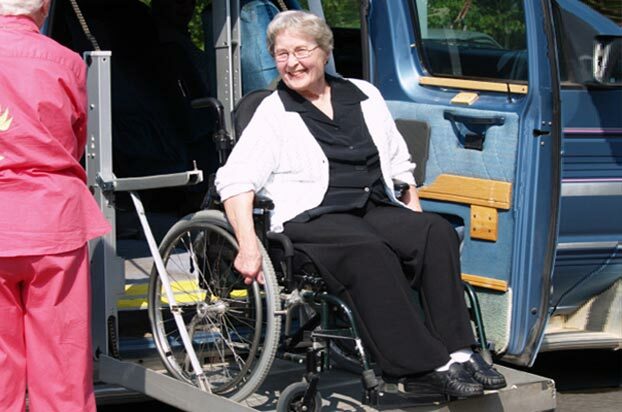 Mobility at Home provides an affordable alternative for those who may not need permanent lifts, ramps or other products. We can accommodate your temporary situation so you or a loved one aren’t limited by ability to get outside and enjoy a full life! Tell us about your needs. We can help! Mobility at Home offers Chattanooga TN area residents portable, easy-to-use options for coping with obstacles that affect their ability to get around their homes and go to work or to the store. We can offer recommendations for your particular situation. One-Stop Shopping for Your Mobility Needs! Short-Term Needs? Rent Rather than Buy! Why Choose Mobility at Home? 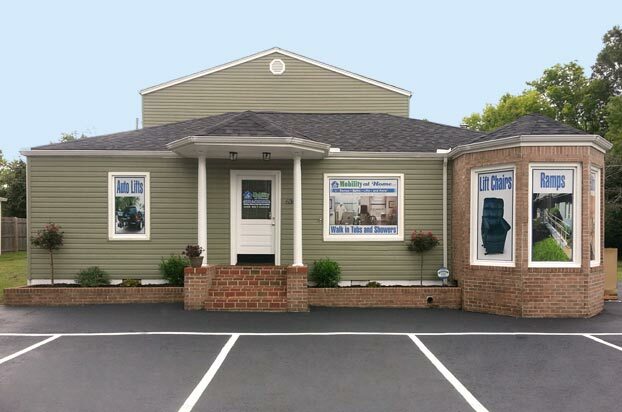 We offer a wide variety of products (Stair Lifts, Auto Lifts, Ramps, Vertical Lifts, Patient Lifts, Bath and Pool, etc.) 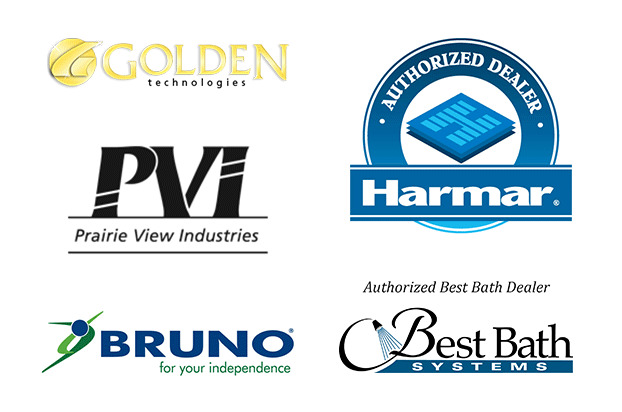 from the most trusted brand names like Bruno, Harmar, Best Bath, Prairie View Industries, Pride Mobility, Golden Technology and EZ Access. These quality brands focus on creating products that are attractive, comfortable, quiet to operate, and built to last. Wherever you live or do business, from Cleveland or Soddy Daisy to Dalton or Ringgold to Trenton or Fort Payne, Mobility at Home wants to earn your business by offering one-stop shopping, home installation, and convenient payment options to qualified buyers. An affordable alternative for those needing shorter-term solutions such as accommodating an aging or disabled relative over the holidays or recovering from a surgery. Rental often meets the immediate need without long-term commitments or expenses. We recently completed a bathroom remodel from a garden tub that the customer had to climb over to take a shower to a walk in shower.